Product #21453 | SKU 540004 | 0.0 (no ratings yet) Thanks for your rating! 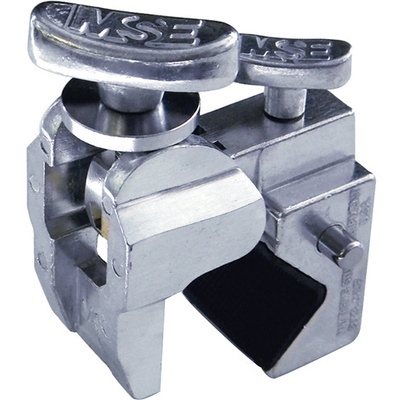 The Matthews Super Mafer Clamp is strengthened to withstand greater clamping pressure than any other clamp of its kind. It can now be effective in even more uses. The productive pads in the jaws have been reformulated for better gripping action. Because of its superior strength, several new attachments have been added. The 5/8" baby pin receptacle accepts both the snap-in pins and standard baby pins. Baby snap-on pin is not included.